Tyler Mitchell is a second year staff member of The Cougar Call. He will be working as a staff reporter and photo Editor. He is a Senior in Ada High, where after High School he plans to go to college and to go to East Central University to get his Basics done, then for the next three years at Oklahoma University to get his Bachelors in Architecture; then become an Architect after college. Tyler is also a trumpet player in the Ada High Band, He has been in the band since 6th grade ,and hopes to continue band when he is in college. 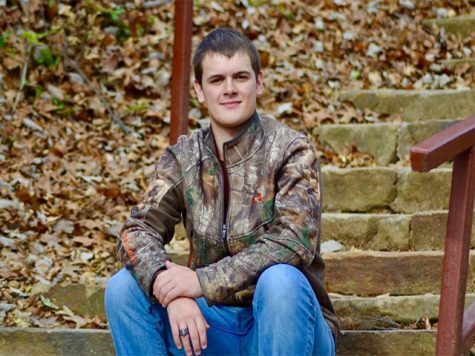 Tyler is a part of a family of four, his parents Trudy Lynn Mitchell and Jimmy Mitchel. He also has a younger brother named Andrew. Tyler is also a pet owner of 2 dogs and one cat. His parents are deaf but that wont stop his parents from cheering him on in band!